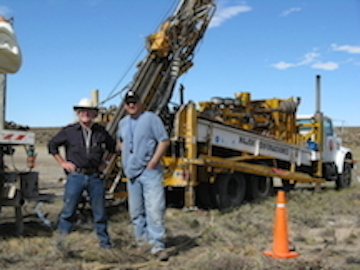 Greg and Bob Moriarty from 321 Gold at a drill site in Argentina. 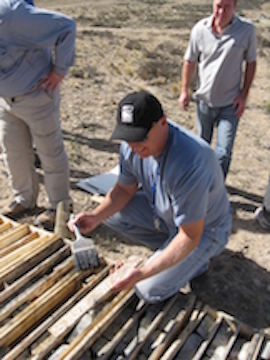 Greg is brushing drill core with water. This enhances the ability to see the quality of the drill core. 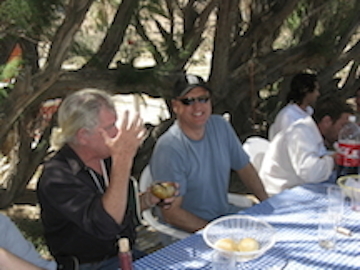 Lunch time in the field. 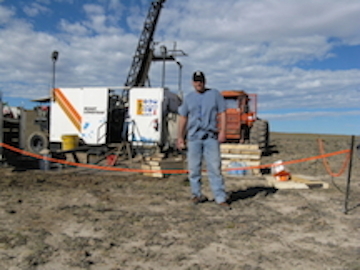 Greg on active drill site on a beautiful day in Argentina.